For over 44 years now Usha Uthup has spread a message of love and unity, peace and harmony, tolerance and integrity, and happiness - through music. From discotheques to concerts, across lndia and the World, she has addressed the youth about the values of music that makes us human. She has sung and performed in more than sixteen lndian languages and everywhere she has had audiences participate in singing along and the spirit of her music has not been restricted by lingual or geographical boundaries. She lives as she believes, presenting even the most contemporary songs dressed in traditional attire projecting the fact that lndia is a true melting pot of world cultures with its owndistinctive cultural identity. 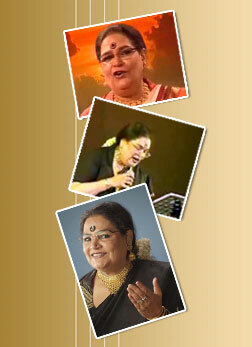 Usha uthup's music has charmed generations of lndians, young and old. People smile, tap their feet, clap their hands forget their worries when she performs. English, Hindi, Gujarati, Marathi, Punjabi, Konkani, Malayalam, Bengali, Telugu, kanada, Tamil, Bhojpuri, Rajasthani, Dogri, Khasi, Assamese, Oriya, Sindhi or Spanish, French, German, ltalian, Zulu, Swahili, Sinhala, Russian, Ukrainian etc. Usha's melody speaks a universal language and transcends religion, race, nationality and caste. She has given people in far flung cultures an unexpected image of an lndian woman: strong,independent, humorous, intelligent and loaded with talent. Worked for service organizations – Rotary National and International, Lions International, Giants International, at all their charity drives. Worked for Mother Teresa’s Missionaries of Charity mobilising funds for Prem Daan, Shishu Bhavan, home for the dying in Kalighat, Kolkata. Represented India at Mother’s beautification at the Vatican City invited by the Pope. First Charity in 1968-69 for TOI fund for the Services – Bombay. Madras 1969 for Rotary Club for charity for blood donation camps. Worked several times for Voluntary Health Services. Represented India in festivals organised by the government of India in Hong Kong, Mauritius, Nairobi, East Africa, Kenya and others. Awarded key to Kenya by the late president Mzee Jomo Kenyatta, for contributions to bring communities of the world together through song. The big song being Malaika and other hit songs in Swahili. Awarded the Person of the World by the President Daniel Arap Moi. Worked extensively for Spastics Association, first performed in Bombay for Nargis Dutt in 1970 when the Association was formed. Innumerable show for Red Cross, especially the Chief Minister’s Funds in Bombay, Delhi, West Bengal. Worked for the School for the Blind, across India. Supported Blind School as well. Done innumerable shows for all medical departments including cardiology, kidney, orthopaedic department, eyes, blood and more. Actively worked for the leprosarium and supported the home for people suffering from leprosy across the nation. Worked in innumerable NGOs and with the Govt. Supporting research for cancer, AIDS, women trafficking, child abuse. Worked with The Richard Gere Foundation for AIDS. Worked extensively with NGOs concerned with empowerment of women. Swayam, Ladli, and many others in South India. Mobilized more than 100 artists for the victims of Tsunami. And, more recently for the victims of Aila. Worked for street children and children coming from red light areas. Performed extensively for several old age homes and orphanages. Worked extensively for the services police and the Indian railways. Represented India through ICCR across Europe, Africa and Asia. Worked in South Africa extensively for various charities including SPCA and Milk Fund Durban, collecting over 1 million Rand. Worked for the benefit for senior artists. Helped to collect funds for various medical causes like acquiring ambulances and other medical equipments. Sang “Aage Badho” for women’s empowerment in 15 languages, for the Government of India. Composed and recorded a song called “The Peace Prayer” based on a poem by President APJ Abdul Kalam. 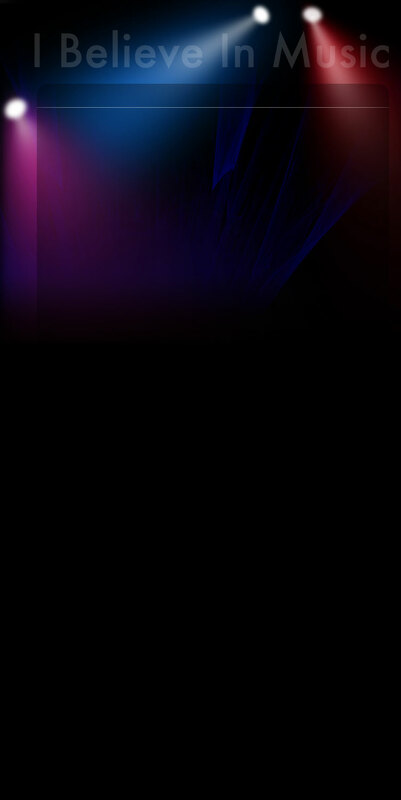 Pioneered in bringing popular music to India. She has received the coveted Padma Shri Award in the year 2011. Performed at the prestigious T.E.D conference to a standing ovation at Mysore. In Davos she performed at the world eco forum to a standing ovation.